The Tuckett Family: 18 weeks! 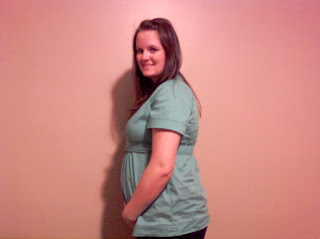 This is my 18 week picture! I really don't feel as big as this picture makes me look! They say the camera adds 10 pounds! Haha! 2 more weeks and we find out what we are having! Be sure to vote on my poll! I want to know what you all think! You look great! Such a cute pregnant woman! :) Hope you are doing well!